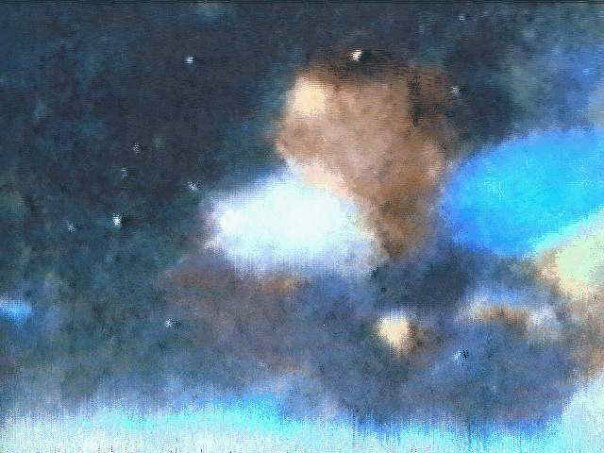 Dale Myers is a computer animator/author who has attempted to prove that the Warren Commission report is accurate in claiming that Oswald was the lone assassin who also killed officer J.D. Tippit. This post will show that Myers’ “proofs” are fraudulent and only confirm the overwhelming evidence that the WC report is a massive work of fiction. But the video is a moot point. The bullet which struck JFK in the back 5.5″ below the collar never exited according to two FBI agents who attended the autopsy.. There goes Myers’ bogus Emmy Award winning graphics which supposedly “proved” the discredited, laughable Single Bullet Theory. It’s a fraud. Government agencies have tried every which way to represent Lee Harvey Oswald as “running” away from shooting of the President, with a weapon, at the Tippit murder scene and on foot. Why? Because they needed to demonstrate “Motive, Means and Opportunity” to charge Oswald as Tippit’s killer AND link him to the assassination. The Warren Commission declared that Oswald shot J.D. Tippit at 1:15 or 1:16pm. Well let me tell all of you something. If Lee Harvey Oswald shot J.D. Tippit at either 1:15 or 1:16pm, he shot a dead man! Oswald shot a dead man, because J.D. Tippit’s“legal and lawful” time of death, on his Death Certificate, recognized by any court in this country….is 1:15pm(11)! Yes, you read right, 1:15pm. The insert shown above is taken from the actual Certificate of Death, Tippit’s name was misspelled, but the document clearly shows the time and date of death. There is no way Lee Harvey Oswald shot a “living” J.D. Tippit at either 1:15 or 1:16pm. That statement by the Warren Commission was an outright lie. A lie expressed for the sole purpose of deceiving the American public. The Warren Commission had the Tippit documents in their hands, they knew the “legal” time of death, they knew Oswald couldn’t have shot Tippit at 1:15 or 1:16pm, and yet they still chose to tell the lie. J.D. Tippit could not have been shot at 1:16, his legal and lawful time of death is as recorded, 1:15pm. Now why does that matter? Before Tippit was pronounced “dead” at the hospital, he had to be removed from the ambulance, wheeled to the emergency room, transferred off of the ambulance gurney onto the hospital bed. Doctors had to do a quick scan, then attempt to clear an airway and possibly administer CPR in the attempt to save Tippit’s life(12), all “before” declaring the man officially dead. Parking the ambulance, unloading the gurney with Tippit’s body, wheeling it to the ER and Doctor’s and Nurses attempting to save Tippit’s life would have taken at the bare minimum, one minute……more likely two. Now, starting with Tippit’s “lawful” time of death….let’s do a little math. Subtract the “one minute” from 1:15, and you have a time of 1:14. Between 1:14 and 1:15, Tippit arrived at Methodist Hospital and staff attempted to save his life. It’s not rocket science folks….just simple math. GIVEN A) THE MAGIC BULLET NEVER EXITED, B) THE WARREN COMMISSION LIED ABOUT THE TIME OF TIPPIT’S DEATH TO FRAME OSWALD AND C) THE HSCA ACOUSTIC EVIDENCE WHICH PROVED THERE WAS A GRASSY KNOLL GUNMAN… WHY SHOULD WE BELIEVE MYERS’ CLAIM THAT THE BADGE MAN PHOTO IS NOT AUTHENTIC? RATHER, WE SHOULD ASSUME THAT THE PHOTO IS AUTHENTIC BASED ON MYER’S TRACK RECORD OF DECEIT. g) the bullet emerged in pristine condition on a Parkland hospital stretcher. 2- The Warren Commission did not “fudge the evidence” when it changed its original finding that three shots hit JFK to 1) a single bullet struck JFK in the back, exited his throat and caused five additional wounds in Connally, 2) the second shot missed, hit a curb and bystander James Tague on the cheek, and 3) the final shot hit JFK high on the back of the skull. 3- The 90+ eyewitnesses who claimed to have heard gunshots, saw smoke or smelled gunpowder coming from the grassy knoll must have all been mistaken. 4- The 22 Parkland Hospital doctors who claimed there was an entrance wound in President Kennedy’s throat must have all been mistaken. 5- The 44 Doctors and witnesses at Parkland and the autopsy who saw a large exit wound located at the right-rear of Kennedy’s head must have all been mistaken. 6- The Warren Commission said Tippit was shot at 1:16, which was also the time he was declared dead at the hospital The 10+ witnesses who saw or heard shots fired no later than 1:06 must have all been mistaken. 7- The autopsy photograph of a bullet hole in Kennedy’s five inches lower than described in the Warren Report must have been a misprint. 8- Dr Charles Carrico viewed Kennedy’s throat wound before the president’s shirt and tie were removed and said it was located above the shirt. He must have been mistaken. 9- John Connally sat in front of Kennedy and has consistently maintained that he and Kennedy were hit by separate bullets. He must have been mistaken. 10- Nellie Connally sat on her husband’s left and confirmed that they were hit by separate bullets. She must have been mistaken. 11- The fingerprint expert who identified the prints found on the 6th floor of the TSBD to be an exact match of LBJ hit man Mac Wallace must have been mistaken. 12- The Army and FBI experts who claimed that the Mannlicher-Carcano rifle was incapable of accomplishing the shooting must have been mistaken. 13 – Oswald shot JFK from the 6th floor of the TSBD, hid the rifle and ran down to the 2nd floor in a little over a minute where DPD Marion Baker and TSBD manager Truly saw him holding a coke and breathing normally. 14- The witnesses who walked down the stairs immediately after the shooting and did not see or hear anyone must have been mistaken. 15- The large wound in the president’s head displayed all the signs of a soft–nosed bullet. But it must have been caused by a very unusual solid, metal–jacketed bullet. 16- Two witnesses who claimed they saw Oswald carrying a bag that was too small to contain a rifle into the Texas School Book Depository the morning of the assassination must have been mistaken. 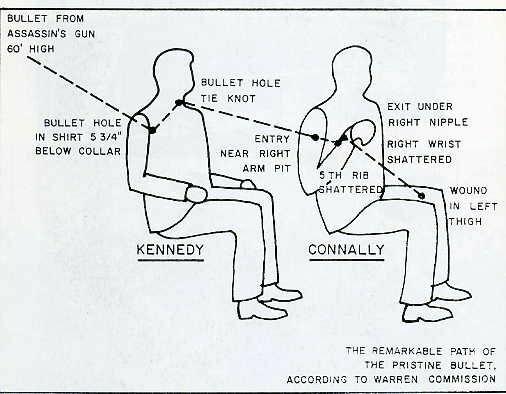 17- Connally could hold his hat seconds after being hit by the magic bullet that exited Kennedy’s throat. 18- JFK would fall back and to the left after being hit from behind. 19- Paraffin tests on Oswald’s hands and cheek which indicated he did not fire a rifle on 11/22 must have been incompetently administered. 20- Four police officers who identified the rifle found on the 6th floor of the TSBD as a saw “7.65 Mauser” must have all been mistaken. 21- It was just a macabre coincidence that seven top FBI officials due to testify at HSCA would die within a 6 month period in 1977. 22- Bullets recovered at Dealey Plaza that did not match the Mannlicher-Carcano must have been from a previous shooting incident. 23- It was just a coincidence that Jack Ruby would die from sudden cancer within 29 days of being diagnosed and granted a new trial. 24- Oswald made two of three shots in under six seconds (a feat that expert marksmen could not duplicate) although there was a tree in front of the target, he barely passed his Marine marksmanship test and used an inferior, bolt action rifle with a misaligned scope. 25- Julia Ann Mercer, a witness who claimed in a deposition that she saw a man walking up the grassy knoll carrying a rifle one hour before the assassination, must have been mistaken. She told Jim Garrison that the man waiting in a car looked like Jack Ruby and that her deposition was altered and signature forged. She was not called by the Warren Commission. 26- Although the probability is E-62 (one in a trillion trillion trillion trillion trillion) that 78 of 1400+ material witnesses would die unnaturally in 1964-78, it does not prove a conspiracy. 27- The fact that Fritz’s notes of his interrogation of Oswald did not surface until 1993 was due to incompetence. Oswald said he was “out front with Bill Shelley”. 28- The fact that Oswald was a $200/mo FBI informer and CIA asset and his tax forms were never released is of no consequence. 29- The fact that Gerald Ford of the WC admitted that he moved JFK’s back wound up 5 inches to conform with the Single Bullet Theory does not indicate that he was distorting the record. 30- FBI agents Sibert and O’Neill attended the autopsy and claimed a) that JFK was struck in the back 5 inches below the collar and the bullet did not exit and b) that Gerald Ford committed a crime in moving the back wound up 5 inches. They must have been mistaken. 31- Although over 50 of 122 suspicious JFK deaths were in the Dallas area, it does not indicate that they had a connection to the assassination and must have been a coincidence.